Catherine Steenkeste has been a pioneer in the world of sports photography as one of the few women to come from Europe and succeed at the highest level in the U.S. for a significant amount of time. 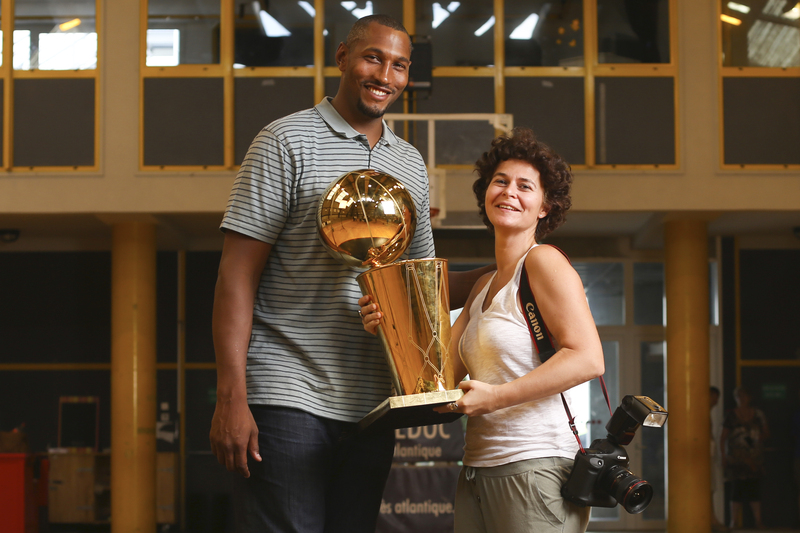 After almost ten years working as a staff photographer for my company, Andrew D. Bernstein Associates Photography, Inc., and as a contributor for NBA Photos, she returned to France in 2005. Since her return, Catherine has carried on her excellent work there and throughout Europe, Africa and the U.S., while continuing to work high profile international events for the NBA. I met Catherine in 1996 in Los Angeles while she was working for various French basketball magazines. She immediately impressed me with her drive and ambition, but even more with her diverse skills as a photographer. She has always been able to adapt to pressure work situations and consistently produces high quality work. One of her greatest assets is her unique ability to relate to athletes and entertainers, which is an important skill that builds trust. Through this trust she has created opportunities to photograph major athletes and entertainers in intimate moments whether for assignments, portraiture or for their personal projects. Catherine's sports and entertainment photography has been published in most major magazines throughout the world. She has also produced innovative advertising for major companies utilizing her unique photographic style. Throughout her career she has donated her time, services and talent to many charitable causes. Director of Photography Staples Center and Microsoft Theater LA Live. Catherine and I met in Los Angeles. In addition to a great work relationship, we became close friends. 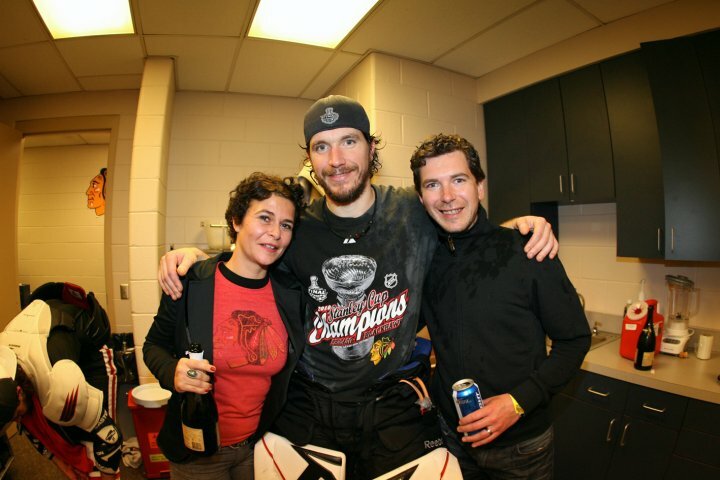 She captured the most important moments of my life, on the ice and in my personal life. Beyond being a great professional in her field, that is photography, Catherine is a passionate person... Passionate about meeting people, passionate about projects, passionate about photography ... Always on the go to volunteer in support of my charity, whatever the country, place or the time. As a friend, she also took time to give me technical advice on my "photography". She has always been patient, listening to my needs and questions even over simple ones for her. I always took pleasure in working with her or sharing a conversation over a meal. Hoping to meet her again soon to share new adventures !! Catherine is the rare combination of a skilled photographer combined with a wonderful personality. She has the ability to make the subjects of her photographs comfortable in front of her lens which leads to superior results. She is able to deftly deal with her clients and has a proven track record of success over a long period of time. Cat is a true professional who can be counted upon to deliver extraordinary results. Catherine's productions are creative, effective and down to earth. Professional, available, quick, efficient and qualitative are words that best describe the work of Catherine and her video crew. On the set, she creates a great mood and clients appreciate her humor and positive personality.